The Global Business Travel Association (GBTA) has forecast business travel spending in the UK will remain flat for the rest of the year in its bi-annual analysis of Western European markets. 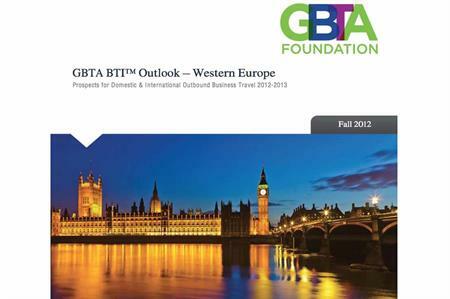 The GBTA BTI Outlook – Western Europe report shows that although business travel spending in the UK grew 2.3% in the first quarter of 2012, it has dipped in quarters two and three. The report notes: "The weak European economy and the crowding out effects of the London Olympics led to losses in both Q2 and Q3 of 2012. While we expect quarterly growth from 2012 Q4 through 2013, it will be slower than we projected in the spring." The GBTA forecasts international outbound travel from the UK will fall 3.1% and domestic business travel spending will grow 1.6%. Moving into 2013, GBTA predicts growth to pick up pace, with domestic business travel gaining 2.3% and spending on international outbound business travel gaining 3.9%. However, the UK has the second highest level of spending on business travel in Western Europe with £24.8bn ($40.16bn) in 2011, compared to Germany (£30.86bn), France (£22.53bn), Spain (£11.99bn) and Italy (£21.81bn). This is forecast to be £24.79bn in 2012 and rise to £25.49bn in 2013. GBTA Europe managing director Paul Tilstone said: "With lingering debt challenges and continued austerity measures, the European economy will likely continue to be challenged for years to come. The GBTA’s report therefore remains cautious, with overall business travel spend forecast to increase by 1.4% in Western Europe in 2013."